SN-800 Straight Eb Sopranino (to altissimo F#) introduced between 1977 and 1980. S-800 Straight Bb Soprano Introduced: July 1978. SC-800 Curved Bb Soprano Introduced: 1979. A-800 Eb Alto introduced between 1977 and 1980. 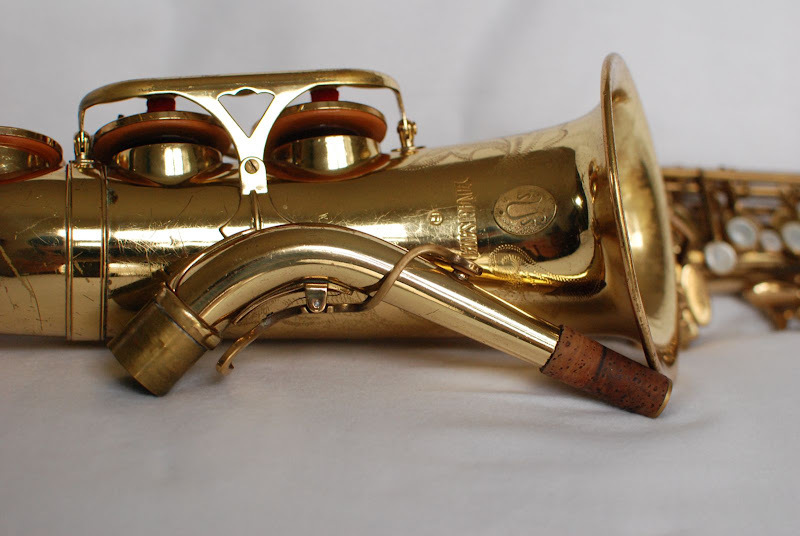 T-800 Bb Tenor introduced between 1977 and 1980. B-800 Eb Baritone (low A) introduced between 1977 and 1980. S-880 Straight Bb Soprano Introduced: 1985. A-880 Eb Alto introduced between 1978 and 1980. T-880 Bb Tenor introduced between 1978 and 1980. B-880 Eb Baritone (both low Bb and low A) introduced between 1977 and 1980. Note that there are no 880 sopraninos or curved sopranos. All 8xx models discontinued between 1990 and 1992. Note that the 500 Series, the SN-600 Eb sopranino (altissimo E), S-6 straight soprano, and B-6 Eb baritone (low A) were still available through the 800/880’s lifetime. Available Finishes: Silver plate, lacquer. 8830: Sterling silver body, lacquer keywork and bell (possibly only available on straight soprano models). Introduced appx. 1988. 8833: Sterling silver bell, lacquer body and keywork (possibly only available on alto and tenor). Introduced apps. 1988. My favorite article says 1980. Yani’s official website says between 1978 and 1985. The Saxess Blog says 1980. The earliest 880 I have seen pictures of is this sn 00102063 tenor. That’s 1980. So, I think 1980 isn’t a bad starting date to work with, but I’d leave wiggle room for slightly older horns. Barnes & Mullins, the UK Yani distributor, nails it down to June, 1985. I don’t have a ton of S-880 pictures, but the earliest horn I have pictures of is a 1985 model. In any case, I don’t think you’ll have a problem distinguishing the S-880 from the S-6 or S-800, because of the removable neck. The 880 is made with a higher quality and thickness brass (“French brass”) and, because of the additional thickness, the tone holes are shifted somewhat. The 880 features plate construction. That’s where a bunch of key posts are soldered to a plate, then soldered to the body. Older professional model: SN-600, S-6, and B-6. Several other companies have “remarketed” their older professional horns as a kind of “intermediate” model when their new pro horns came out. SML, for instance, re-engraved their old pro horns as “Standard” models. There are no 500 or 880 model sopraninos. The SN-6 is the only model with keyed range to altissimo F (and F#). 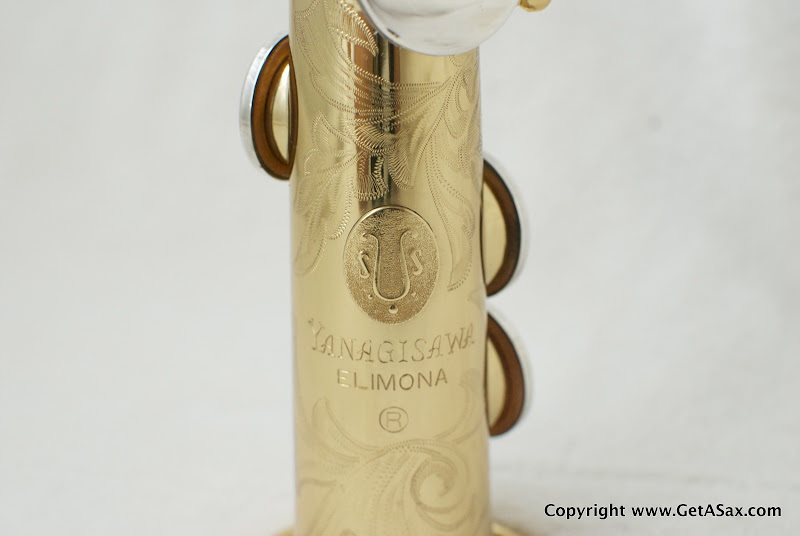 All of the SN-800 horns I’ve seen have the “Elimona” stamp and Yanagisawa “coin” badge. The 880 is the only one of this bunch that has a removable neck. The S-800 has a pearl button for chromatic F# and the S-6 has a metal tab. All the S-800s I’ve seen have the Elimona stamp and Yanagisawa “coin” badge. Easy. There are no 500, 6, or 880 curved sopranos. The 6 Series alto and tenor were no longer made after approximately 1980 — give or take a couple of years. So, check your serial number to eliminate 600s and 6s. All the 880 alto and tenors that I’ve seen, including stencils, have an “880” stamped around the serial number. Both the 800 and 880 have double arms on the low C and low B keys. The 500 doesn’t. The 500 won’t have the Yanagisawa “coin” badge on the bell, but rather simple engraving. The 500 has stainless steel springs, as opposed to blued steel. The B-880B is the only low Bb baritone available during this time. There are no 500 Series baritones. The B-6 has a single arm on the low C and the 800 and 880 have double arms. You can tell the B-800 and B-880 apart by … well, erm … the “880” stamp near the serial number.Let me explain:Let’s look at two B-880s. Here’s a sn 00118865 (1984) horn and a sn 00130055 (1986) horn. There are a lot of keywork differences between the two. You can see that the 1986 horn has the “ergonomic” low C and Eb and that the chromatic F# is now an oval pearl, rather than a rectangular key without a pearl. The altissimo F is now a pearl teardrop, rather than a round button.I simply don’t have enough B-800 or B-880 examples to give you a better guide right now, but you can probably count on those “ergonomic” low C and Eb keys to only be on 880s. I also think that the B-800 and B-880 may have been special order horns, so the differences between the B-800 and B-880 might never be consistent, except for the 880 using imported brass and the 800 using Japanese brass. That’s rather hard to show. For the majority of horns, though, you’ll see a serial number starting with “00” that does not have an embedded date. Check out my thread on the Woodwind Forum for these serial numbers. Doctorsax.biz: more pics of the above horn. Doctorsax.biz: lacquer Eb alto (Martin stencil), sn unknown. 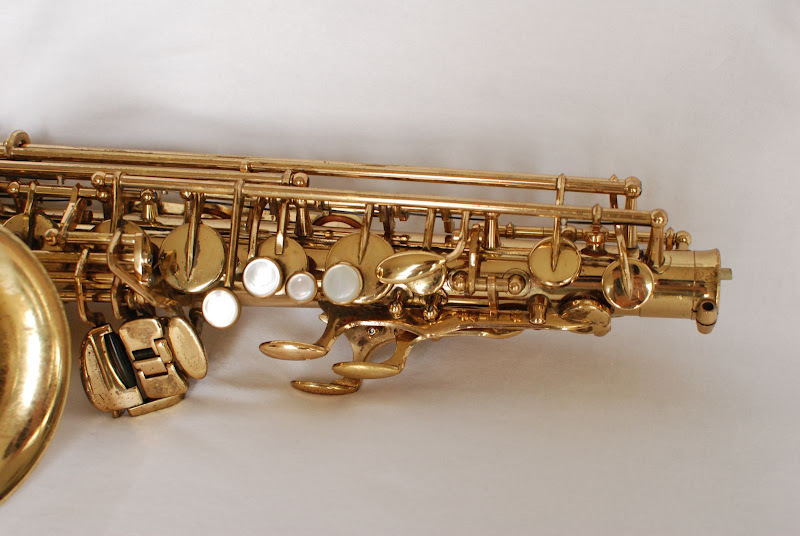 Doctorsax.biz: lacquer Bb tenor, sn 00128018 (1985). Doctorsax.biz: lacquer Eb baritone (low A), sn unknown.